Gently style your hair with this handmade Kent Tortoiseshell Pocket Comb. 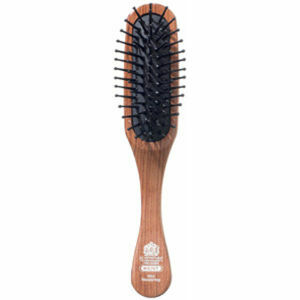 This comb has fine spaced teeth, making it perfect for styling your medium or fine textured hair. You can feel the difference between a Kent comb and a moulded comb. Kent combs are hand made, saw-cut, quality combs. They are polished to perfection to prevent split ends, gliding through your hair, without scratching your scalp. The length of the comb is 113mm and the length of the teeth is 17mm. Receive a FREE Kent Mini Woodyhog Brush when you spend £15 or more on Kent. Tthere's not too much to be said about a comb. Kent makes an excellent quality product and the purchase experience through HQhair was simple and quick.